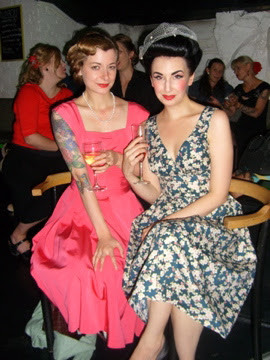 Last night I went to see a fashion show arranged by the 50s/pin-up shop Daisy Dapper. 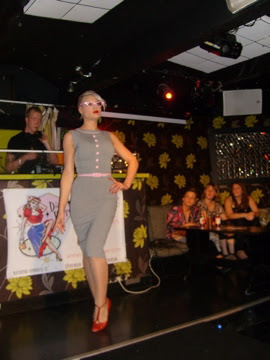 For this occasion I decided to wear a skirt I had sewn myself, after a pattern from the 50s. I just love the print on it! 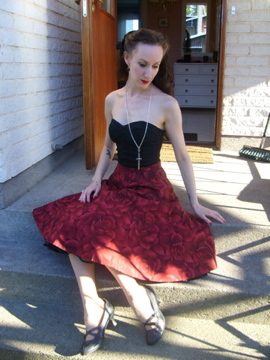 I even made a dress of the same fabric, but where the roses go in a black and grey scale. 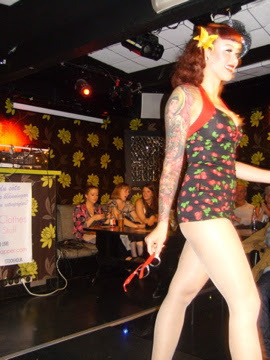 While sipping some wine I then watched several babes enter the catwalk, all dressed in clothes from Daisy Dapper. 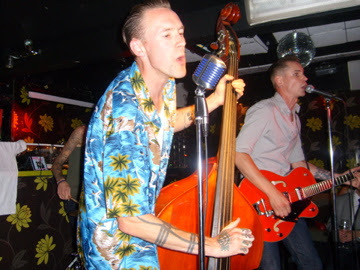 There were bathing suits, beachwear and lovely dresses. 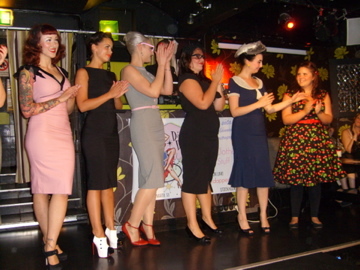 The models, and to the far right, miss Daisy Dapper herself! 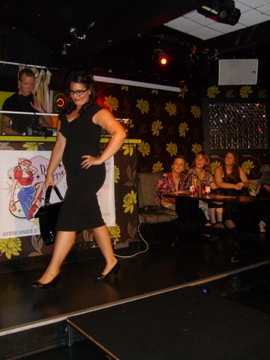 After the fashion show Ragged Bones rocked the stage! With me at the show I had my partner in crime, Fanny, looking gorgeous - as always - in a vintage dress. Here she is with Tifa DeLeone who was one of the models. 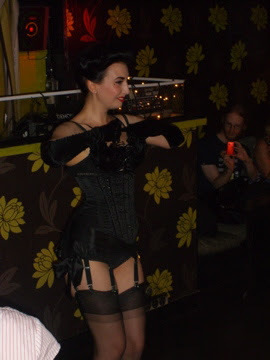 Later this lovely lady also showed us the best way to remove your clothes, in a burlesque performance.